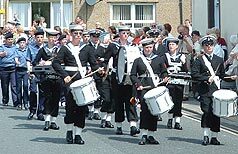 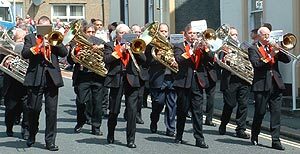 Whitehaven Brass band, Dearham Band and the sea cadets all provided music around the route. 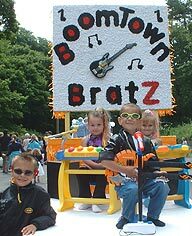 Floats included the story of Peter Pan and these mini musicians the Boomtown Bratz. 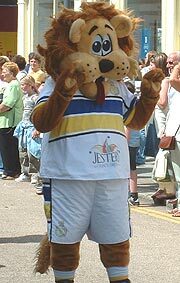 The fashion parade from the Vanilla boutique added some elegant glamour whilst this lion mascot provided the comedy. 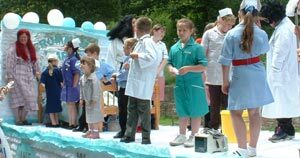 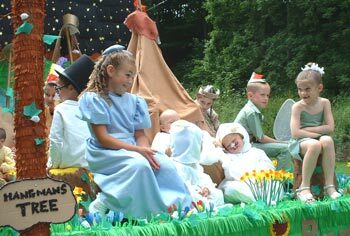 Crummock ward provided junior doctors and nurses whilst another float was inspired by the music on Top of the Pops. 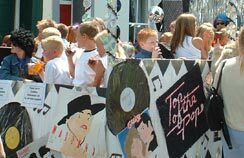 The local dance schools performed routines all around the town during the procession which lasted over an hour. 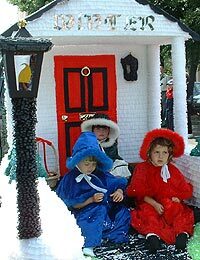 A rather small float can be imaginatively decorated as this Winter float from Workington proved.